We had the opportunity and luck to discover one of the most amazing constructions that exist; the inverted masonic tower from Quinta de Regaleira, Sintra, Portugal. I will not talk about the Quinta itself now, because it’s a huge property of 4 hectares with a vast array of exquisite constructions, grottoes, a luxury fantasy park, waterfalls, fountains, particular plants and fauna, which needs separate attention. 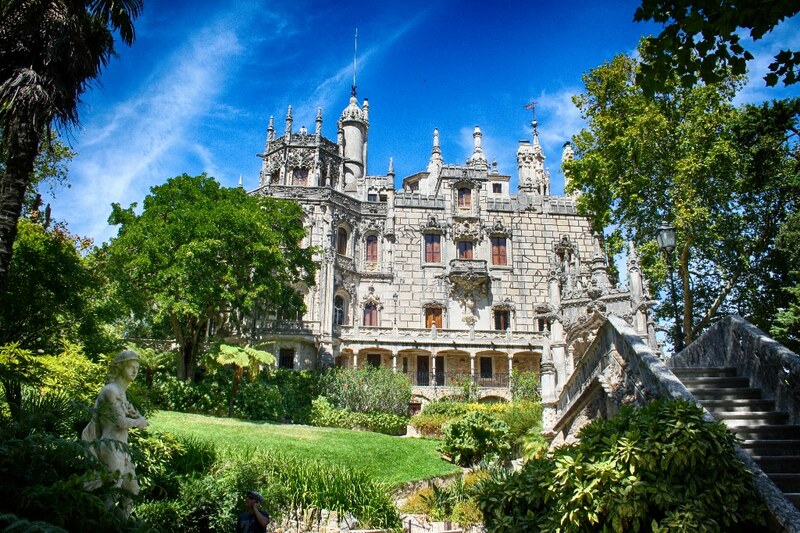 Seeing the whole property took us a whole day, so if you plan to visit Sintra you have to reserve at least 3 days in order not to skip other unmissable places like Quinta do Relógio, Pena, Monserrate and Seteais. Another tip that we can give for visiting Sintra, classified as a World Heritage Site by UNESCO and considered one of the principal tourist attractions from Portugal is to book before a place to stay, because this area is fully booked all year round. 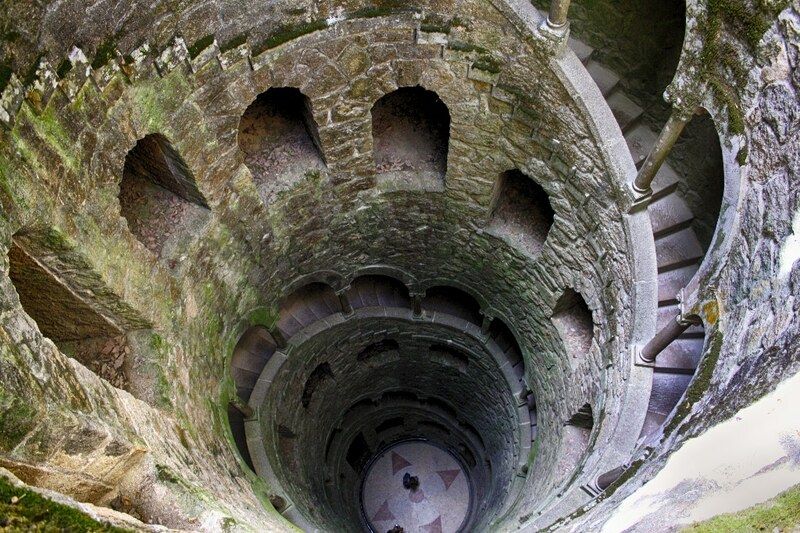 The Initiation Wells or inverted towers are two wells on the property beneath the ground, consisting of ‘winding stair’ architecture, which carries symbolic meaning including the death/rebirth allegory common to many hermetic traditions. These wells never served as water sources and it is believed that the spacing of the landings, as well as the number of steps in between were dictated by Masonic principles and used for ceremonial purposes that included Tarot initiation rites. At the bottom of the well there is a compass over a Knights Templar cross and a sign of Rosicrucianism. The smaller well contains straight stairs that connect a series of ring-shaped floors to one another. This well is also called the ‘Unfinished Well’. This amazing initiation wells leave one to wonder about the events that once transpired there, though it is clear to see that great effort went into their planning and construction.